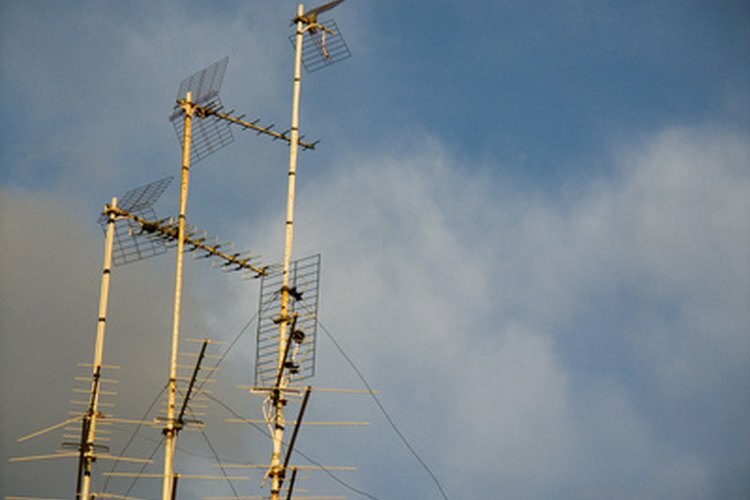 These antennas have more gain than a smaller antenna, but a simple DIY antenna can suffice for short-range use. The amateur 902-928 MHz band holds several advantages over other bands for novices. Because little or no commercially-produced equipment is available specifically for amateur use, traffic on the band is limited. This creates 26 MHz of mostly interference-free bandwidth for experimenters to play with. Equipment is no problem, either. Cell phones that work on the defunct analog network can be had very cheaply or for free and the same is true of cordless phones and other 900 MHz Part-15 devices. All of these devices contain the basic transmitters and receivers needed for 900 MHz operation. The only thing lacking is an inexpensive high-gain omnidirectional antenna, but that is not too difficult to make at home. Cut the coax cable to eight inches. This will become the antenna itself after separating the two conductors so that they become elements of an end-fed dipole. Measure back four inches from the cut end of the coax and, with a sharp knife, score the outer insulating layer all the way around. Be careful not to nick the wire braid which lies just underneath the insulation. Remove the section of insulation that you just freed; it should slip off with little resistance. Push the braid from the end, so it expands slightly while pulling back from the center conductor. Pull the braid from just above the cut end of the jacket so that the braid begins turning inside out and folding back over the remaining insulation. Continue pushing the braid until it folds completely back over the insulation, forming a tube that extends almost to the connector. When finished, the outer braid should be folded back sharply from the center conductor at the point that the insulation ends. This fold becomes the feed point, with the center conductor becoming one half of the dipole and the tube, formed of the outer braid, becoming the other half. Tin about two inches of the braid with the soldering iron and solder. Start about a half inch below the fold. Measure 3.2 inches back from the fold, using the caliper for precision, and carefully trim the excess braid from this point. Use sharp wire cutters for this. Measure the exposed center conductor 3.2 inches from the fold, again using the caliper. Cut the excess with the wire cutters. Cut a piece of heat-shrink tubing long enough to cover the entire antenna. Slip it over the antenna. Turn the heat gun on the low setting, and move the gun back and forth along the length of the tubing until it shrinks. Be careful to hold the heat gun three to four inches away and keep it moving, so as not to overheat and damage the antenna. Slip the soda straw over the antenna to stiffen it. Then slip a second piece of heat-shrink tubing over the straw, and shrink it with the heat gun, again moving the heat along the length of the tubing. This antenna is called a coaxial dipole, and it is easily scalable to other bands. 3.2 inches is simply a quarter wave at the desired operating frequency. Wear eye protection when soldering. Be careful with the heat gun. It is capable of starting a fire. Wash hands after handling solder.